It seems we face the same problems every year. Nothing changes! The “nothing” I am referring to is the attitude of far too many DME/HME providers and dealers. Our industry has had the opportunity to get new legislation, HR 1717, out of committee and on to Congress for passage. This bill will eliminate the “competitive bid” currently in place and install one that is equitable. I anticipated every DME/HME principal would rally around this; that they would make calls, send letters, and would really pressure their Representative to support them, but far too few have responded. WHY? We have seen some very exciting things happen at AAHomecare, with their new president, Tom Ryan. He has been a dealer and knows exactly what has to be accomplished. There are about 15,000 other dealers who should become dues paying members of AAH. Where are they? Medtrade Spring in Las Vegas is rapidly approaching. March 10-12 will soon be here. Has every dealer made arrangements to attend or send a member of their staff yet? I just saw that more then 50 additional manufacturers, some new ones and a few who have been absent, will be coming to LV. Will you be there? Nothing changes! I hear the same weak excuses. I won’t list them because they don’t make any sense to me. When the future for DME/HME dealers, their livelihood, and the care of the patients they service so well is at stake, there can be no excuses. In 2014 everything will change. Our industry will make things happen! Together with our state associations and AAHomecare, we all will come to Mecca, Medtrade Spring. Register for Medtrade Spring using code SHELLY and get a FREE Expo Pass. It appears there is a great deal of concern about how this legislation will affect DME/HME companies. I have heard many different negatives and positives; there is so much confusion! I believe it is time for all of us to stop worrying and wait to see the response of the American people, not that of the politicians! What I see is a big ball being tossed back and forth between Democrats, Republicans, Tea Party, newspapers and commentators. I have spoken with many of my peers (all DME dealers) on the phone, at Medtrade, and via e-mail. This will be a major important topic at Medtrade Spring in Las Vegas. You must be there to see how you can make the best approach to “ObamaCare”. The Affordable Care Act, also known as ObamaCare, is just beginning, and DME/HME providers are all wondering how it will affect their companies. I personally feel it will prove to be a boon. It will bring many more people into your location, as you will be the source for equipment, oxygen and supplies! Since it was passed by Congress, not forced on us as some newspapers and politicians say, ACA is now the law. I suggest you all sit back and not get drawn into any politics! You have to dedicate as much time as possible to keep your companies profitable and maintain your share of the market. Since every citizen at some point will be involved, I repeat that I see the ACA having a very positive effect on our industry. This legislation has the power to drive more customers into DME/HME dealers throughout the country. It is now the problem of the government to assure that all the eligible people obtain health care insurance. Then, your job is to make sure that your company is recognized in your community as the place to shop. Stay out of the battle because too many people may not agree with you. Sometimes silence on something this big can be the smartest approach. This is when membership in AAHomecare and your state DME association becomes so valuable. They will protect your interests, and I recommend you give them as much support as possible. They are where the answers to all problems with ACA will come from. I try to encourage HME/DME providers to be fully aware of the little things, which make up asset control. At Medtrade and state DME association meetings, I have attended many lectures on this important topic. There are two major problems; both must be very carefully monitored. To attain good asset control, “accounts receivable” (A/R) and “accounts payable” (A/P) must be watched. Without full diligence of them, your cash flow will be greatly affected. The lack of full control of both has sunk many a business. Since I have had contact with many dealers, I can say that as a group, DME/HME principals take the best care possible in our wildly gyrating industry. They very carefully study their A/R and A/P together with their accountant. Accounts receivable simply is the money due to you for the services and products your company provides. In our industry, a good deal of A/R is from Medicare, Medicaid or a third party! Great care must be taken to assure that all the paperwork is 100% correct. Many DME/HME dealers have this task assigned to a member of their staff who stays updated with the payers. Before submitting any forms for reimbursement, it is vital to review everything. Accounts payable is what is owed by your company; salaries, supplies, taxes, and even include the coffee pot you keep warm all day. Be sure that every penny you spend is necessary. 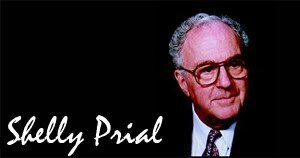 At a lecture I attended a few years ago at Medtrade in Atlanta, the speaker asked one of the attendees if he brought in doughnuts for his staff. The answer was: “Of course I do, my employees have earned that.” A few questions later he admitted that close to half of the goodies were usually thrown out. When I spoke to that particular dealer a few months later in Las Vegas, he told me that now it is only on Monday mornings that he comes in with some goodies. He made this occasion into a “staff meeting.” He reported that this enables him to better guide and control everything. The key person to help you stay in charge of A/R and A/P is your accountant. He can show you the best way to control the cash flow of dollars. You must be in charge and fully cognizant how every penny is spent and ever dollar is saved. It is easy to spend money, but it is important to spend wisely! The most pressing problems facing AAHomecare today are signing in new members and bringing back many of those dealers who have left the fold. Why have these become problems? One appears to be the necessity for many more dealers to recognize the role of AAHomecare. I know what the role of AAH is and many of my readers are the choir. I am not going to preach to them. However, since I have been writing my blog Shelly Sounds Off, my phone has become an outlet for many dealers to vent their frustrations. I have encouraged them to call me, which has enabled me to obtain a great insight into how many DME/HME dealers are running frightened. They understand that it is difficult to operate their companies and still have time to fight to get a bill through congress. The legislation that must be passed (HR1717) needs more sponsors in the House of Representatives. These dealers do not seem to have the time to make a phone call or send messages. AAHomecare and the state DME associations do. However, if many more dealers would take action as they have, so much more would be accomplished. I know there are too many dealers who are NOT willing to invest either their time or their money to become active in an industry association. They believe they can stand alone. But that just does not happen! We must develop a means to get better recognition for the role of what AAHomecare and the state associations do so that we CAN enroll these recalcitrant dealers. To build membership, we have to follow the example of the pharmaceutical associations. AAHomecare should go through their current list of members and select some key members in every community. You can solicit them to set up, with your assistance, city or county action groups. To gain the support of the all the associations, these new “teams” will work for both. If a dealer only belongs to the state organization, they will solicit for AAHomecare. By the same token, if it is the other way around, they will solicit for a State Association. It has to be a win-win situation for both the state DME association and AAHomecare. We could structure the development of small groups (sub groups) and then identify them as lobbyists headed up by “key” members to start this as a “grass roots” program. I am sure we will discover our “key” people invariably belong to both organizations. We have to aggressively sell these services. Can we do that? You bet we can!!!!!!! Note: If you have not yet registered for Medtrade Spring in Las Vegas, use the promo code SHELLY when you register to get a FREE expo pass. How often do you receive an unsolicited telephone call trying to sell you something? Too often! But today I spoke with a DME/HME dealer who I met last year at Medtrade. He described how successful his company was because they instituted a “Thank You” phone call program. His message is: “Most people seem to feel that telemarketing from homecare providers constitutes fraud and abuse. That is not true! Yes, there are constraints which must be observed. By correct “telemarketing” you can establish an excellent means of communicating. I suggest a second call. If the product purchased is for short-term use, make the call in two weeks. If not, make the call after a month. This should be a very friendly inquiry about how they are faring and if the equipment is doing what they anticipated. Well, this is not telemarketing in the traditional format, but it sure can be effective. I know that when you establish a relationship, your customers will remember you and call your company first. Your employees are who your customers see when they shop. They are the voice your customers hear when they phone. They are your company! They are the backbone of your operation and your success. How well do you know them? How often do you work “one on one“ with each? How do you guide them to accomplish all you goals? How do you get them to follow your lead? This is best done by holding regularly scheduled staff meetings. I spoke about this with an old associate who has a most successful DME/HME company. He said they had a catered breakfast meeting once a month. The enthusiasm and cooperation generated through these meetings helped him to accomplish all of his goals. They became the leader in their market! With only four sales people, he awarded them by bringing two to Medtrade Spring and two to the fall show. They planned the lectures each would attend and which of their vendors they would see. Together they visited new vendors. At their monthly breakfast meetings, everyone is always filled with ideas. His “team” spoke about new opportunities. Every employee is important and must be heard. Although each employee had his or her specific job description, the company developed an “esprit de corps,” where all employees were always available to assist one another. His closing message is: “The goal of our company is to satisfy our customers.” They succeeded - and you can too. I find it fascinating to read both HMENews and Homecare Magazine. There are so many things happening daily that affect DME/HME dealers. Most of these will have a positive influence and some the opposite. My biggest concern had always been how to respond to any negative difficulties! The answer is that AAHomecare and your state associations best answer these pessimistic problems. I have been involved in fighting these adversities for close to 65 years! You are all engrossed in them and must respond to rid these annoyances ASAP. The best way to do this is by becoming an active member and working closely with those affiliations and your peers. The luxury of standing alone never worked. Teamwork does! By the same token there are many opportunities that can slip away between your fingers very quickly. The publications mentioned above are always filled with great ideas. Read them carefully. The various associations, both national and the state are constantly sharing ways to grow and with your support, they will continue to lead the way. The one major and probably the most valuable asset available to DME/HME dealers is participation in the Medtrade exhibitions. When I look back to the very beginning, which I attended, and then I review all of them since, I realize that there is no better way to enhance your business. I had the privilege of seeing the names of the speakers who will be at Medtrade Spring 2014 in LasVegas. This show has attracted the “cream of the crop” to lecture. There is no other place that I can think of, including a university, where you will be able to hear so many talented “educators.” They will show you how bright the future can be for DME/HME. If you are not present to sit in these training sessions, you will find it much more difficult to continue to move forward. You will go home from Las Vegas laden with new ideas and positive approaches. The Medtrade Spring will be from March 10-12, 2014, at the Mandalay Bay Convention center; special rates for the hotel, etc., are available. Make sure that you too are there. Use promo code SHELLY when you register to get a FREE expo pass. Four years have passed, and I am still sending blogs. I am aware I often repeat many things, and so for this year, 2014, I am asking for your help. I have a great associate in Medtrade's Social Media Director, Christina Brown, who is part of the team that works with Kevin Gaffney, the show director, and helps make the ever important Medtrade Exhibitions as excellent as they always are. 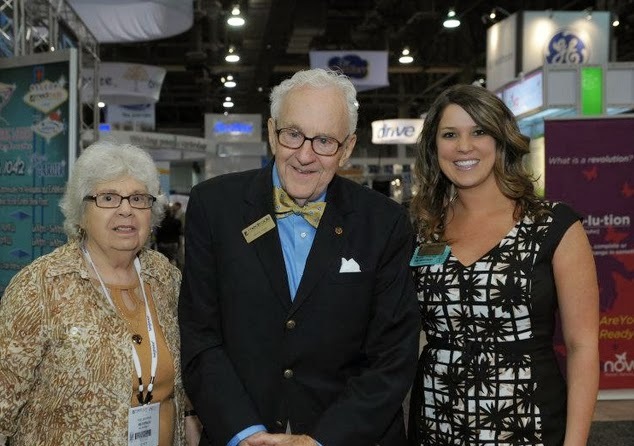 Shelly Prial and his wife Thelma with Medtrade Social Media Director & Founder of Stina Bee Marketing, Christina Brown. Christina reviews my writing, checks the spelling, makes constructive comments, and then posts them to be read. For 2014, I would like to hear some suggestions from our readers on where and how I should focus my blogging efforts. Please, do not hesitate to contact me. I will always promptly respond. Communicate with me via e-mail, <shelly.prial@att.net> or via phone (321-259-7127). I am always delighted to hear from you. In 2013, most of my efforts were directed at involving you to help get necessary legislation though Congress. I spoke often about marketing ideas to expand your profits via OTC cash sales. I also spent a great deal of time trying to build membership in your state associations and AAHomecare. I WOULD GREATLY APPRECIATE HEARING FROM YOU. PLEASE FIND A FEW MOMENTS TO RESPOND. An old Greek philosopher, Heraclitus (500 BC), said: “Nothing endures but change.” Shelly says: “Ain’t that the truth?” Still, every New Year we all make resolutions to do, or not to do, things we have always done. "Stop smoking! Lose weight! ", and a myriad of other changes that are soon forgotten. Since you are a DME/HME provider, you must prepare and build new markets and remain as a major dealer. 1.) HR 1717. Every one is cognizant of the fact that living under the restraints of the Competitive Bid and the pending changes, it will be all that more difficult to achieve your goals. There are two investments that you must make. Like many of your peers, your company must become an active, dues paying member of AAHomecare and your state DME Association. They are the ONLY support you have in the battle. I am certain that if 90% of the DME/HME providers belonged, the pending legislation would have been passed. 2.) By belonging and working together, we would have been able to guide CMS, Medicare, and Medicaid in the correct direction. In that fashion we would have protected all our customers and all the beneficiaries. It is important to belong to your state associations and AAHomecare. You must recognize the cost of membership will allow you to remain solvent and active. Let us not have a bleak future. I SEND MY BEST WISHES TO ALL FOR A VERY HAPPY AND SUCCESSFUL NEW YEAR. AMEN!